The Deregulation Act 2015 – 1 October 2018 which is being debated in parliament could hugely improve the lives of many renters in England. The Homes (Fit for Human Habitation and Liability of Housing Standards). – date to be announced would give private and social tenants the ability to take landlords to court if their home is unsafe. Over a million homes are thought to pose a serious threat to the health or safety of the people living there. This classification covers 795,000 private tenancies – one in six of the privately rented homes in the country. The House of Commons voted for the Bill to be sent to a Public Bill Committee, they will scrutinise the Bill – date to be announced. Ask lorraine – My Tamworth tenants may have sub let, what are my responsibilities? I have been notified by the council that my tenants may be subletting, apparently 2 of the subletters are trying to claim benefits. Where do I stand legally? I hear your concerns, finding out a tenant may have sub let a room in your buy-to-let can be a worrying time. However there are landlords out there who will consider allowing tenants to take in lodgers. People who cannot afford a place to call home unless they rent a room may otherwise become homeless -ethical reasons why landlords may consider allowing subletting. 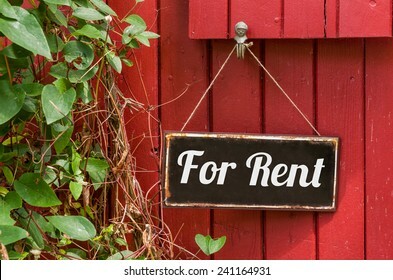 If your tenant looks after the property and pays the rent on time, is it in your best financial interest to evict the current tenant and start all over again? You may have fears that you buy-to-let will be open to abuse and will become a house for all and sundry. The new occupiers are an unknown quantity, are they suitable to be living in your property and what about the right to rent laws ? Well, If the tenant has taken in a lodger without telling you it is your tenants responsibility to complete the right to rent check as the tenant becomes the lodgers landlord. Your tenancy agreement should have a clause which stipulates no sub-letting whatsoever or at the very least without prior written consent from the Landlord. You do not have to give permission, if you do, you are at liberty to attach conditions to the consent if necessary. A landlord cannot evict a subtenant. Remember, the landlord has no contractual relationship with the subtenant, even though the subtenant is living in the landlord’s property. My take on this – I would rather know what’s going on in the property and retain full control. I would complete full checks on the new person and create a new tenancy with the new tenant added. This makes the occupier a tenant instead of a lodger but that way their status is clear and if one of the tenants leave, leaving the other in the property, possession is usually simpler. Ask Lorraine – My tenant is refusing me access so that I can do my annual checks. What can I do? At this time of year, we often receive calls from landlords about problems they are facing in gaining access to rental properties. When a landlord lets a property he is agreeing to give the tenant exclusive possession of that property and quiet enjoyment. Check your tenancy agreement that you have a section which covers right of entry. Without the tenants permission or unless of course there is a real emergency you could be charged with trespass and the tenant could well claim damages against you or your agent. Not a nice thought when you are only trying to do your job! Access is only permitted in one of two ways – a provision in the tenancy agreement or where the law grants a right of access, for instance, an emergency or to inspect or carry out repairs. Landlords and agents should always give tenants notice of their impending visit, check your tenancy agreement as to the amount of notice you have to give. If the amount of notice is not stipulated on the tenancy agreement, landlords can use s11, Landlords and Tenant Act 1985 which allows access for repairs as long as landlords or agents give 24 hours notice prior to entering a rented property. Landlords and agents should always look to give reasonable notice for access, keeping on friendly terms with tenants does help, however if the tenant is being unreasonable and constantly refusing access then the landlord or agent faces a very difficult situation. Speak to the council they may be able to help, after all if the tenant makes a complaint about the disrepair of the property to them, the council are quick to act then. Last and my least favourable option, due to the expense is to seek an injunction in the court to force your access. It won’t hurt to be a good and friendly landlord, after all a bit of sugar goes a long way. Email me on Lorraine@hallandthompson.co.uk or call on 07531484956.